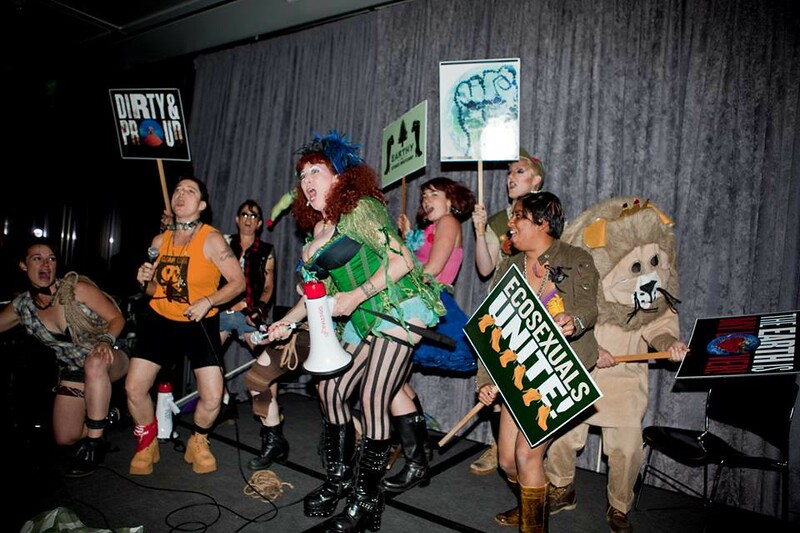 "After nearly two decades of bringing modern and contemporary art experiences to audiences in its iconic Third Street building, the San Francisco Museum of Modern Art (SFMOMA) will temporarily close its doors to the public at end of day on June 2, 2013 to prepare for two-and-a-half years of construction on the museum’s major expansion project. After June 2, SFMOMA will be on the go, presenting new art experiences around the Bay Area until the museum’s expanded home reopens in early 2016. 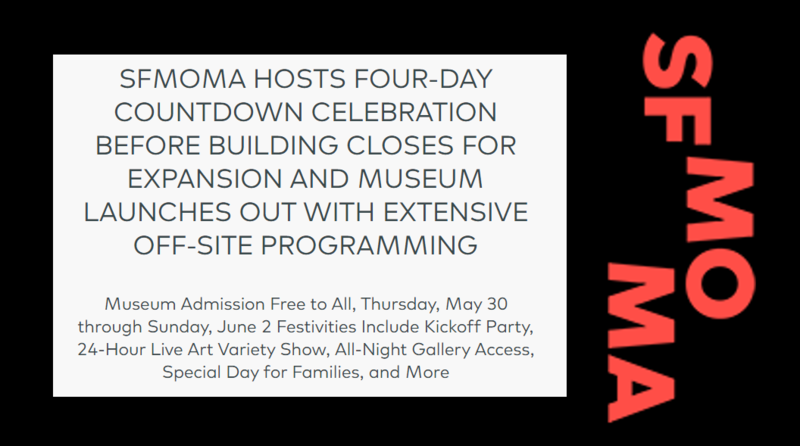 During the final four days before closure—Thursday, May 30 through Sunday, June 2, 2013—museum admission and all related festivities will be free to all. A special Countdown Celebration will activate the entire museum with ways to mark this extraordinary moment of transformation for SFMOMA, launching a new chapter in its 78-year history."